Interested in diving into the world of wearable electronics (aka e-textiles)? Look no further than this wonderful kit from Adafruit. Featuring their in-house designed Arduino-compatible FLORA board, this kit includes many commonly-used wearables components and accessories. 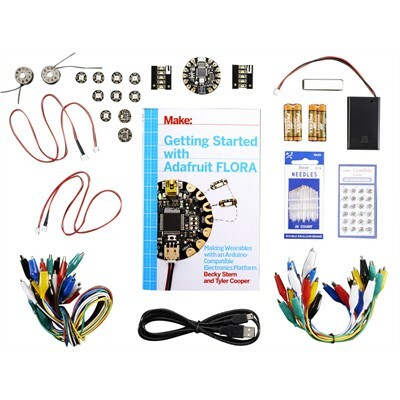 It even features a book dedicated to getting you working on Adafruit's FLORA board! 12x Alligator clip test leads, small clips, 5"